Electro-Mechanical actuators have been at the forefront of AMETEK Airtechnology Groups' vision for the future for several years and our specialist engineers have an impressive track record of designing, developing and certifying electric actuators used in Aerospace, Defence and Down-Hole (Oil & Gas exploration) applications. 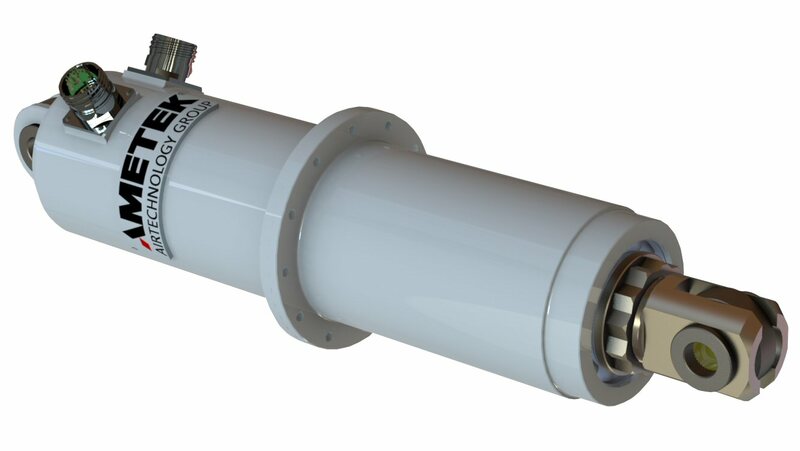 AMETEK Airtechnology Group supplies both Electric Linear, Rotary and Electro Hydrostatic (Hybrid) actuators (EHAs). Missile fin actuation, rocket propellant valve control, helicopter electric landing gear system, horizontal stabilizer trim control, aircraft flap actuator, missile booster thrust vectoring, in-flight refuelling probe, unmanned aircraft (UAV) flight control actuation.